Die casters are metal shaping tools; they are a variety of metal casting utilities, all of which use heat and pressure to turn raw metal materials into usable products. Die casting is one of the most widely used metal forming processes because of the precision with which it can create quality metal products to precise specifications in large volumes in a relatively short period of time. Die cast products can be found throughout industry and commerce. The automotive industry makes extensive use of die casters in the production of engine blocks and aluminum valve covers. In commercial settings, die cast materials are important components in door access systems, cleaning tools, HVAC equipment and in many other capacities. Die cast products can even be found in consumer products contexts; plumbing components like pipe connectors are often die cast. Die casters are employed at metal forming operations, often in tandem with other metal shaping processes and sometimes other metal casting processes. Among all metal shaping processes, die casting is one of the most efficient, cost-effective and precise ways to create shaped metal products. Die casters can produce metal shapes out of zinc, aluminum, magnesium, tin, lead, copper and several other metals. Some die casters also have extra parts, such as removable slides and cores, to produce holes, threads and other desired shapes in the casting. 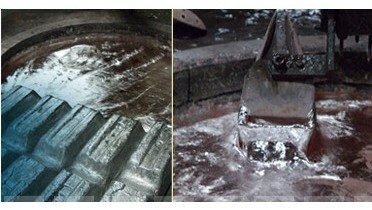 The die casting process involves heating a metal beyond its melting point, pressurizing it and forcing it into a mold. Once in the mold, the molten metal takes the shape of the mold. It is them allowed to cool and harden. 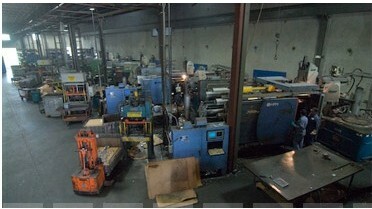 Dies are either air or water-cooled; the cooling of the die provides for quick cycling and is one of the factors in the high rate of production that die casting offers. It also gives a fine grain structure and superior strength and finish to the metal castings. Die casters are useful for many reasons. First, they are efficient, economical, and offer a wide range of durable shapes and components. Little or no machining is required after a part is die cast because the process provides very close tolerances for even complex shapes. Also, die casters are dimensionally stable and heat resistant with the ability to retain the strength of an alloy. When properly applied and maintained, die casters can provide companies with quality metal shapes for many years.